Our local guides will customize each trip to suit your needs and bring you to the best available fishing. 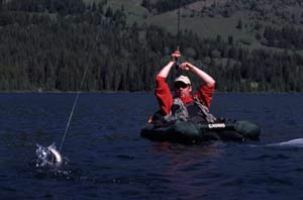 Fly or spin fish in some of the most spectacular wilderness settings anywhere for Trout, Salmon and Steelhead. From remote alpine lakes to crystal clear mountain rivers, the Whistler area has an abundance of fishing opportunities.